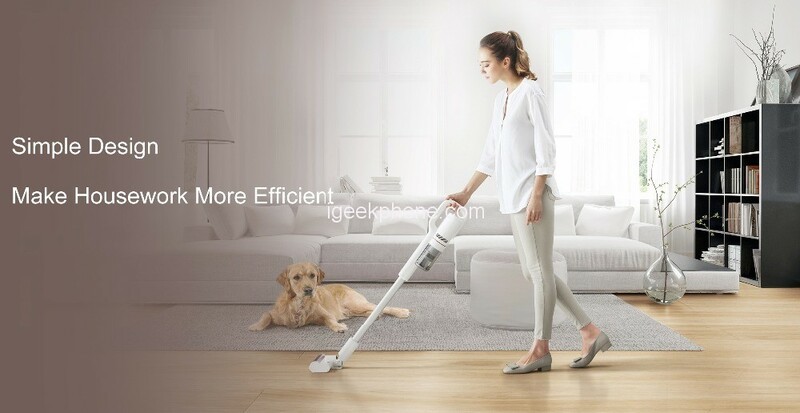 Xiaomi Roidmi F8 Smart Vacuum Cleaner is lightweight and silent, with up to 55 minutes of powerful suction per charge. Our price is about half of what you’d find on the market for this type of high-performance vacuum cleaner. We achieved this cost-effective price both by optimizing the product design, and -thanks to being an important member of the Xiaomi ecosystem-through strong supply chain management. F8 host boasts of 1.5kg, lightweight and portable to carry. A cordless design will free you from the trouble of irritating cables and enable you to move it freely at your house. Also, there are no borders to go outside and clean your car – the cordless design doesn’t require the socket. 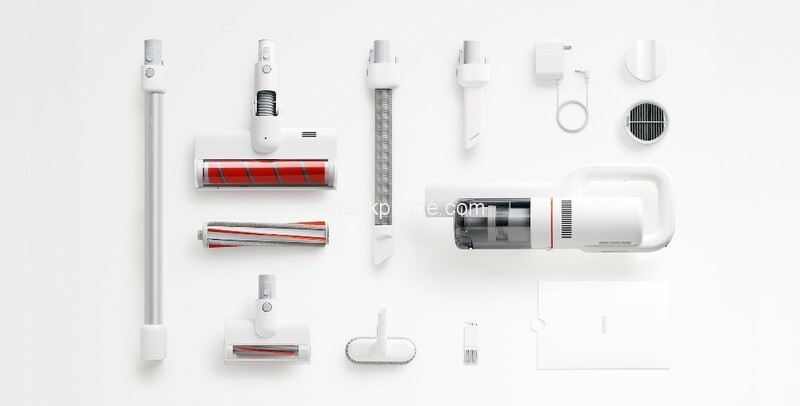 Powerful DC motor of Xiaomi Roidmi F8 Smart Vacuum Cleaner can generate really strong suction power. It was engineered to deal with dirt on carpets, mattresses and even on floor cracks. The model is provided with different cleaning tools to meet the different cleaning scenarios. The attachments can be easily assembled and disassembled. Special magnetic holder will provide the convenient storage of the device. Just hold on it near the holder and it will automatically “stick”. Built-in 2500mAh powerful battery, the device will be able to work about 55 minutes without recharging, which is enough to clean the entire house. In maximum power (turbo) mode it will work about 10 minutes. You can sync the device with your phone via Bluetooth. Use the RoidMi APP and you will be able to check the level of battery power, cleaning time and receive some notifications (in case if the dust cup is full or the filter needs to be replaced). Use it to update the firmware of the device. 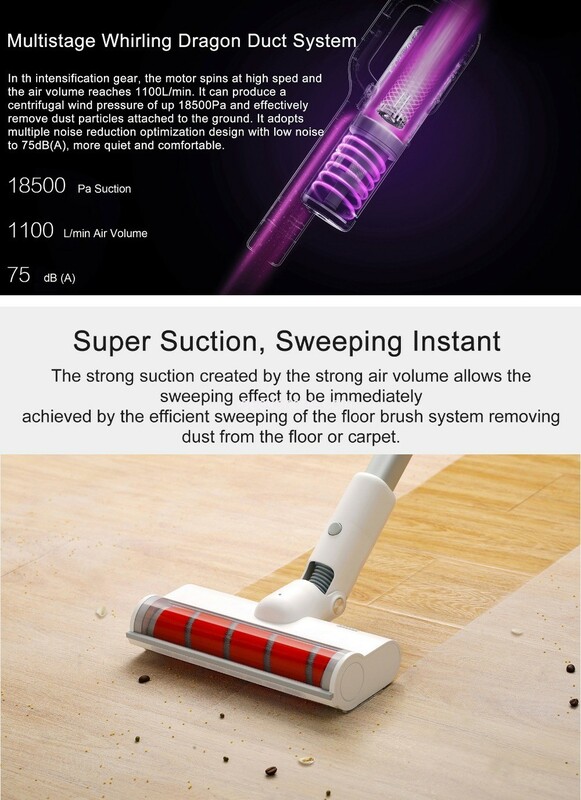 Thanks to the layer construction of the filtration system, F8 handheld vacuum cleaner can easily deal with hair and dust on the surfaces, air purification rate up o 99%. 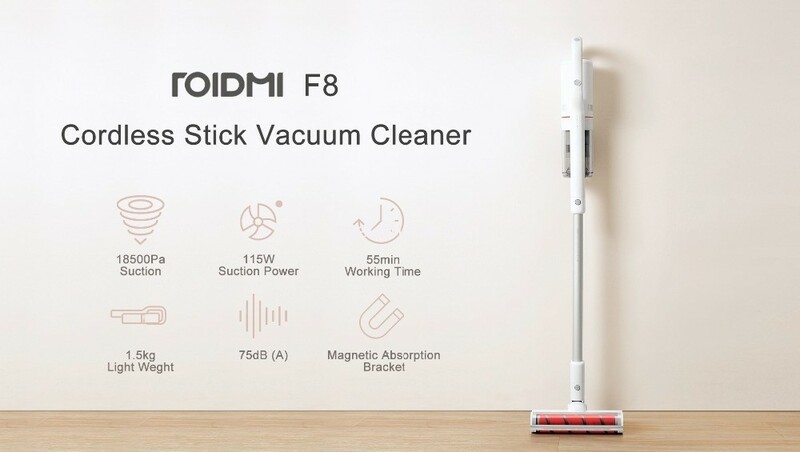 Xiaomi Roidmi F8 Handheld Vacuum Cleaner comes with advanced and smart features which will give you effortless and fine cleaning of your home floor. 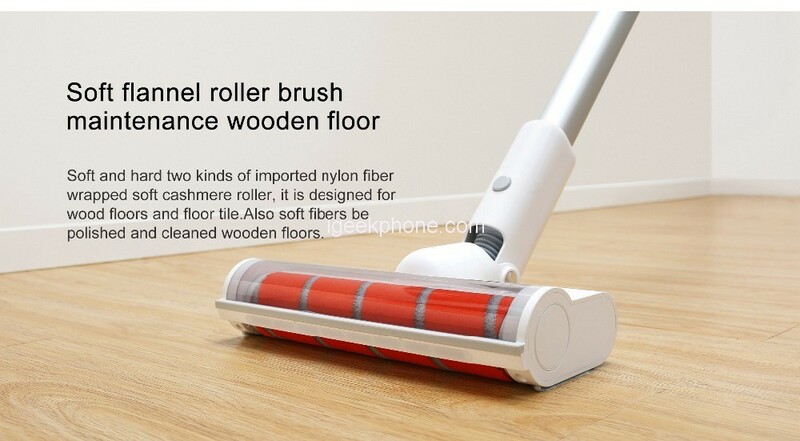 Its powerful DC motor can generate a strong suction power to help cleaning the dirt, particles, pet hair, etc on the floor.